The Memorial Candle Program has been designed to help offset the costs associated with the hosting this Tribute Website in perpetuity. Through the lighting of a memorial candle, your thoughtful gesture will be recorded in the Book of Memories and the proceeds will go directly towards helping ensure that the family and friends of Walter Grotewold can continue to memorialize, re-visit, interact with each other and enhance this tribute for future generations. I’ve probably said goodbye to my Uncle Walter about once a week for the last five years. On August 11, 2017, I said goodbye to him for the last time. I grew closer to him during our visits, learning to speak the language of Alzheimer’s and learning to let go a little more each time. I am very grateful to my son David, who lived with and took care of Walter for the last two and a half years, and traveled this journey with me. Walter was born in Hannover, Germany, in 1926. He came to the United States in 1954 after being trained as a fine mechanic. Eastman Oil was the company that brought him to Denver and he remained employed there until 1963. Plans to go back to Germany were changed when he met Annemarie Kempka, also from Germany, in 1958. Annemarie worked at Eastman Oil and then as a secretary at the University of Colorado for many years. When Eastman Oil moved their offices to Houston, Walter got a job at NCAR in Boulder. He worked at NCAR designing and fabricating weather instruments and other devices. He moved to Boulder in 1963 and was one of the early residents of Pine Brook Hills. He received a Technical Support award from NCAR in 1985. After he retired from NCAR in 1986, he consulted with them for quite a few years. He built a house in Pine Brook and became a masterful woodworker. My brother Graham and I would often stay up in Pine Brook on the weekends and in the summer as children and young teens. Walter built wonderful furniture including tables, lamps, clocks and cabinets. He and Annemarie later moved to Longmont. They were kept company over the years by their Westie dogs, who were all named either Mr. Bo or Mackie. Walter enjoyed the mountains and making things with his hands. He liked to keep busy. He always had a tremendous sense of humor and twinkle of mischief in his eyes. He traveled to Maui frequently with Annemarie after retirement and enjoyed his dogs and time with family. In his day he was a gourmet chef and made fondue and plum cake and perfected his rye bread recipe. In his younger days he enjoyed dancing and ice-skating. 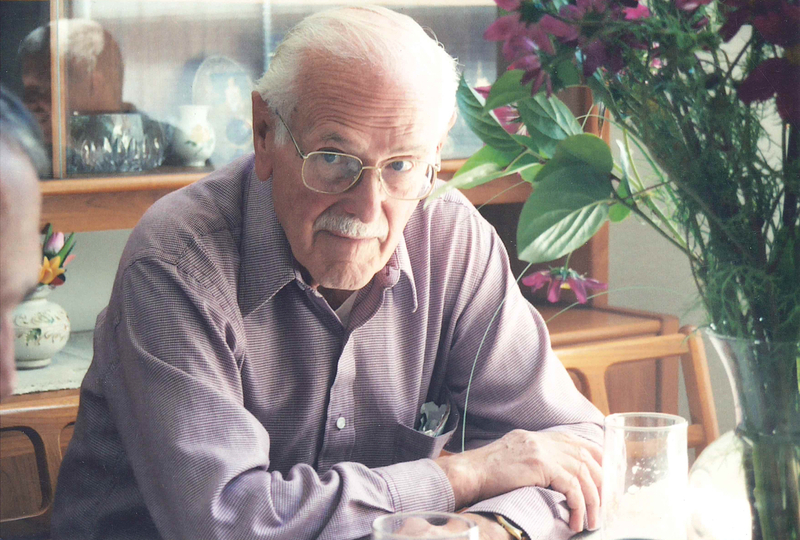 After Annemarie died, ending a happy marriage of over 50 years, Walter developed Alzheimer’s. He was independent and yet gradually came to appreciate and enjoy the support of others. Walter was preceded in death by his wife, Annemarie, and his brother Heinz. He is survived by his brother Kurt and his wife Gerda, and his nephew Ulli, all in Germany. He is also survived by his niece Rosemary Lohndorf, her husband Greg, and his nephew Graham Fowler. He is also survived by his great-nephews David Lohndorf and Alec Fowler and great-nieces Sara Ibarra and her husband David, and Grace and Emma Fowler. His dog Mackie will be loved and cared for and she surely will miss her loyal companion. David and I would like to deeply thank Windhorse Elder Care and Walter’s wonderful caregivers for their help, compassion and support with Walter. We’d also like to thank Meals on Wheels, which was a tremendous help, and Tru Hospice for their support over the last few months. We are grateful that Walter was surrounded by love and family in his last days and went to rest peacefully. Donations may be made to Windhorse Elder Care, Longmont Meals of Wheels or Tru Hospice. To send flowers to the family of Walter Grotewold, please visit our Heartfelt Sympathies Store.